The 15th OPSFA is hosted by the Research Institute for Symbolic Computation RISC, which is an institute of the Johannes Kepler University in Linz. More information about RISC and its history can be found here. The institute is located in the Castle of Hagenberg, a romantic medieval castle amidst the lovely, hilly landscape of the Mühlviertel, 20 km north-east of Linz, the regional capital of Upper Austria, located halfway between Salzburg and Vienna. Here is a map of the center of Hagenberg im Mühlkreis. It shows the location of the hotel (square 3), the lecture rooms (square 2), and the place for the welcome reception (square 1). 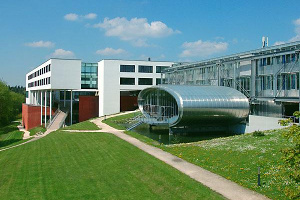 The conference site is the campus of the University of Applied Sciences FH Hagenberg, which is located in the Softwarepark Hagenberg, centered around RISC. Lectures will take place in the FH2 building, in the AudiMax auditorium and in the adjacent lecture halls HS3 – HS6. See the campus map for the location of the building, and scroll down to page 9 "FH2 Ebene 0" to see the room plan. Lunch will be served in the cafeteria Campina in the same building (see page 7 "FH2 Ebene 2"). You can also take a virtual tour through the campus. The student dormitory operates as a hotel during the lecture-free time and is reserved for the OPSFA participants. At Hagenberg: Rooms have been allocated in the Hotel Sommerhaus. It is located in close vicinity to the conference venue and offers basic, but good quality rooms with internet access (by cable, no wifi). The rate is EUR 44 per night for a single room and EUR 72 for a double room; these prices include breakfast. For your convenience, the room reservation is made together with the registration (but payment is done directly at the hotel). 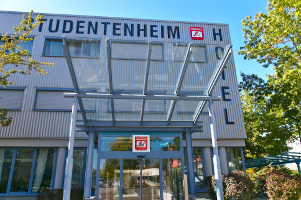 At Linz: For those who prefer to stay in Linz, we refer to the list of hotels in Linz for individual booking. For commuting to Hagenberg, see the information on public transportation. From the center of Linz to Hagenberg it takes about 25 minutes by car. 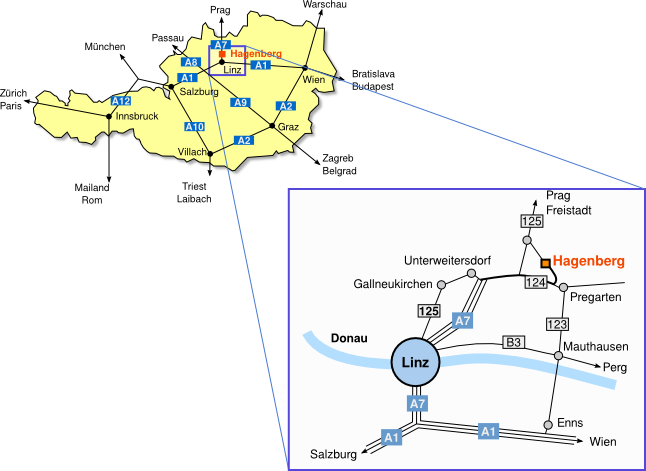 By plane: Linz has a small international airport (IATA-Code: LNZ) with daily connections to Frankfurt (FRA) and Düsseldorf (DUS). Many flight booking systems also offer another "airport" in Linz, LZS, which is actually the central railway station (Hauptbahnhof) of Linz. Such connections are always via Vienna (VIE), where one has to change from airplane to train for the last "flight segment"; the trains leave directly from underneath the airport. The main international airports nearby Linz are Vienna (VIE, 2 hours by train/car) and Munich (MUC, 3 hours by train/car). By train: Linz can be reached conveniently by train from Vienna, Salzburg, or Munich, for example. Please note that there are two different railway companies that offer connections to Linz: ÖBB and Westbahn. ÖBB tickets have to be purchased in advance (either online or at the ticket vending machine / counter at the train station), while Westbahn tickets are sold on the train. Tickets from one company are not valid for trains of the other company. 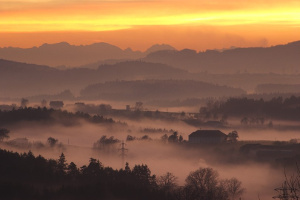 If you book the train connection VIE-LZS as part of your flight, you may only use trains operated by ÖBB. Local transportation: We will organize a shuttle service from the Linz airport and from the train station in Linz to the hotel in Hagenberg on Sunday (July 21), and in the opposite direction on Friday afternoon (July 26) and Saturday morning (July 27). If you wish to use this shuttle, please indicate your arrival / departure dates and times when you register for the conference. Otherwise, there is a bus connection (bus no. 601) between the airport and the central railway station of Linz. From there, one has to take a bus (Postbus no. 313) and get off at the station "Hagenberg im Mühlkreis Ortsmitte" (takes about 50 minutes, EUR 5,50). A taxi from the airport costs about 30 euros to the train station, and about 80 euros directly to Hagenberg.